In WWI, Jutland was the only major battle between the German Navy and the Royal Navy. While the encounter had been indecisive, the German Navy had lost enough ships that it did not make another attempt, and remained in port for the rest of the war, thus tying up badly needed resources. Hoping to avoid this error, German naval planners had spent the years between the wars developing a strategy where the navy would avoid direct battle and would raid Allied shipping. When Germany invaded Poland, the only combat-ready warships were the pocket battleships the Deutschland and the Graf Spee. Both ships were already in the Atlantic and would meet tanker-supply ships at predetermined locations. Instructed to avoid unnecessary battles with enemy warships, the two ships were ordered to concentrate on attacking merchant shipping. The crews of each captured ship were held and then transferred to the supply ship to prevent the Allied navies from figuring out the raiders’ methods and patterns. Concerned by the numerous missing freighters, the British and French navies organized eight hunting groups to track down the raiders. A group of British warships commanded by Commodore Henry Harwood found the Graf Spee on December 13, 1939. Aware that the German navy was no match for the mighty British Royal Navy, a number of German warships were sent to attack Allied shipping in the Atlantic. The German pocket battleship Graf Spee has been raiding Allied shipping in the South Atlantic and the Indian Ocean, so several groups of warships are assigned to hunt her down. One group finds and damages the German warship so badly that it has to seek refuge in neutral Uruguay, which leads to a diplomatic battle. The introduction of the movie explains that the German Blitzkrieg had changed the land war but the sea war remained the same. Germany could feed itself, England could not, so Germany relied on magnetic mines, U-boats and surface raiders to strangle England. The surface raiders were pocket battleships and the world had never seen anything like them, which sets the tone for the movie. The music and the camera angles are designed to instill awe of a magnificent beast. When the officers of captured British merchant ships discover that the British cruisers Ajax, Achilles, Exeter, and Cumberland are hunting the Graf Spee, they have little hope that the cruisers will be a match for the Graf Spee. Although the wealth of detail provided by the screenplay is impressive, Captain Hans Langstorm, the commanding officer of the Graf Spee, begins to sound like a Bond villain, who can not resist the temptation of boasting about his flawless plan. He calmly states that only three British battleships can catch him, while cruisers can not match his guns. He even explains how he finds his supply ship, how he changes the name of the ship from Deutschland to Admiral Scheer and uses a fake funnel and guns to alter his silhouette in order to get closer to his victims. It is good to see that Harwood is given credit for deducing that the Graf Spee would go to the River Plate and for having the ships practice his tactics of attacking a pocket battleship from different directions to force it to divide its fire. Unfortunately, the movie ignores his rich experience in Latin America and does not explain that eight hunting groups (including three battleships and battlecruisers, thirteen light and heavy cruisers, and four aircraft carriers) were spread out all over the ocean searching for two ships. 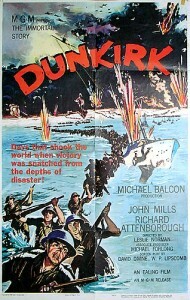 The movie’s main weakness is that no mention is made of Langstorm’s deliberate disobedience of his orders to avoid British warships and his decision to seek out a convoy in order to increase his record. Therefore, the screen British track him down when in reality Langstorm was careless and overconfident. The script focuses too much on the captured captains, some of whom get as much screen time as Langstorm, who is only seen at the beginning and at the end. While there is not enough time to present the machinations between Germany and England in depth, the Uruguayan Foreign Minister is portrayed as a sharp customer, who refuses to be bullied or tricked by either side, which is a pleasant change from how non-Europeans were presented at the time. When I first saw the movie, I naturally presumed that the play-by-play description of the Graf Spee’s final day by an American radio reporter was a Hollywood invention, so I was quite surprised to learn that it really happened. The Achilles was part of the Indian navy from 1948 to 1978, and she played herself in the film, which was shot in the Mediterranean off Malta. The Cumberland also played herself, but without armament because she was a gunnery trials cruiser from 1951 to 1959. The Sheffield played the Ajax, the Jamaica stood in for the Exeter, and the US heavy cruiser Salem played the Graf Spee, even though it was actually much larger than the Graf Spee had been, which further cemented the myth that the Graf Spee had been a very powerful warship. 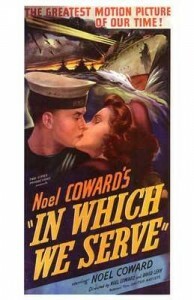 It is a very British movie, the cruiser captains have their boat crews race to the flagship and Commodore Henry Harwood orders them to break out the gin once he has finished briefing them. Unlike most WWII movies, the Germans are not portrayed as cold, bloodthirsty demons. It was made in the middle of the Cold War when West Germany had become a valuable ally, so the Germans are shown as honorable enemies. In fact, there are almost no references to the Nazi party. Langstorm is presented as a polished gentleman who does not enjoy making war on civilians and listens politely to a British captain’s protests that he should not have been attacked since he was in neutral Portuguese waters. The German crew is kind to the captured merchant captains, singing Christmas carols and giving them presents. The film is very faithful to reality and Anthony Quayle actually looks like Commodore Harwood. The directors are to be praised for not trying to shoehorn the climatic battle into the end of the film and for taking the time to explore the political negotiations between the Germans, British and Uruguayans that sealed the Graf Spee’s fate. 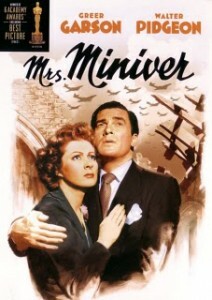 A good movie but it suffers a bit from ignoring the German perspective. Agreed but for one annoying thing. If Directors can’ get real shots of ships firing their real guns then the guns should remain silent. There’s nothing more annoying for a war film fan than to have to see phony flames dribbling out of guns that haven’t really fired. I have to admit I have always wondered why the producers don’t pay for a few minutes of cannon firing, unless the navy really overcharges for the shells. You would think that the navy would be happy to have a quick live-fire exercise paid for by the studio. American Outlaws Sink the Bismarck!